Congratulations on your wedding! 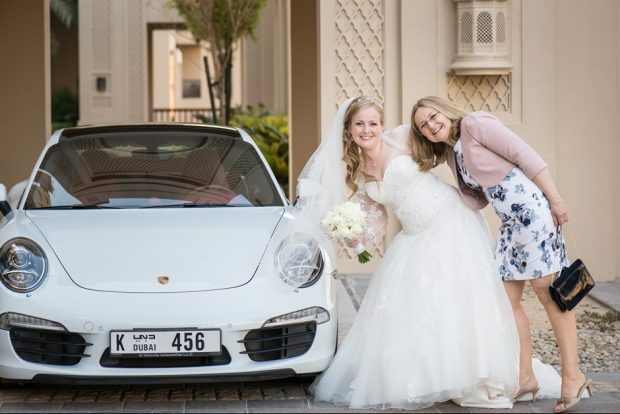 What made you decide on having your wedding at Fairmont The Palm? Fairmont The Palm is a beautiful 5 star property on the Palm. Karim and I have stayed at the property on previous occasions with our family members and they really loved the experience that the property had to offer them. Fairmont The Palm is my mum’s favourite hotel in the world and she simply adores the Fairmont Gold Floor. The hotel has amazing views of Dubai Marina from the beach. 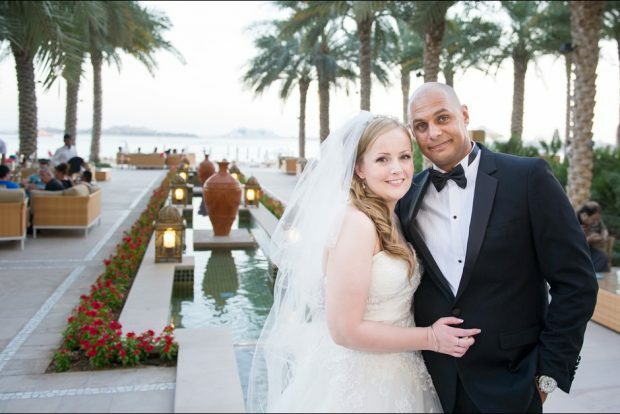 Karim and I decided to have a beach wedding and I had selected Fairmont The Palm because of its stunning views from the beach. We had our wedding ceremony at the beach, followed by a wedding reception at the ballroom. 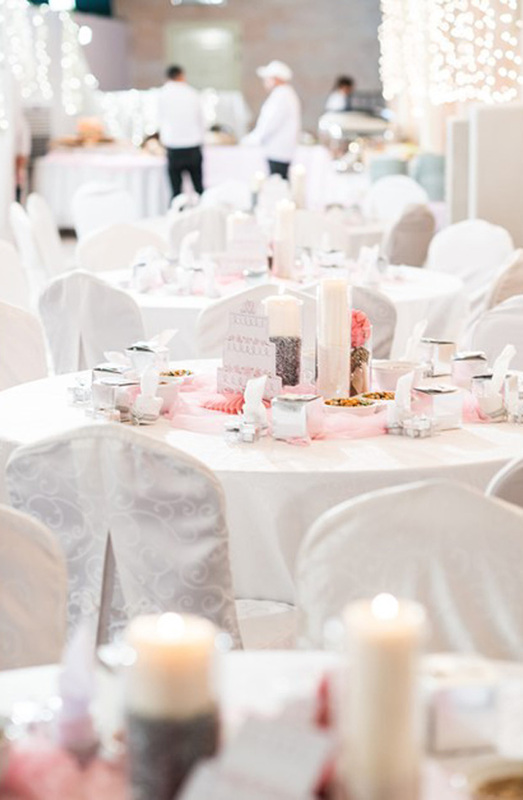 Since we decided to have a traditional wedding, we went with a white and pale pink colour theme. We decided to go the traditional way for our wedding as we wanted to add the classic touch to our wedding images. I was holding a bouquet of traditional white flowers during the wedding ceremony. There was a combination of white and pale pink flowers for my wedding reception. The hotel also included beautiful white flowers in our room. Tell us about the meal you served your guests. 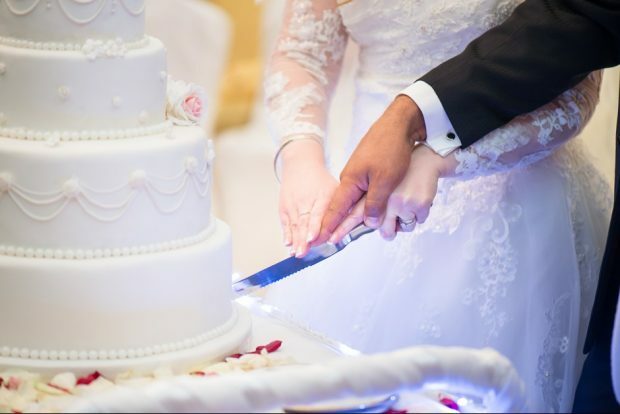 What type and flavour cake did you have at your reception? We served an international buffet of dishes for our guests during the wedding and we had a vanilla flavoured cake with white icing, white pearls and flowers for our reception. We stayed for two nights at Fairmont The Palm as my family came from England and they were pampered with the Fairmont staff offering them a spa treatment and a wonderful experience altogether. 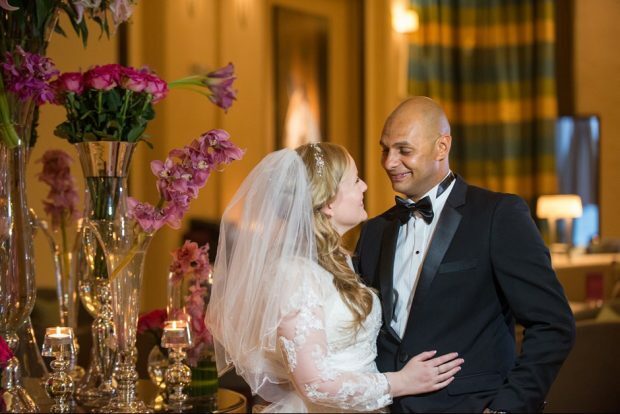 We enjoyed the ‘Fairmont’ experience so much that we decided to stay at Fairmont Heliopolis in Cairo after our wedding and visited Karim’s family in Cairo. What element(s) did you add to make the wedding uniquely ‘yours’? We were quite intrigued by how well organized the conference services at Fairmont The Palm was. The conference services team added pink flowers to our wedding reception to go with our colour theme which we thought was such a lovely touch. Another integral part of the day is the wedding dress! Tell us about what you chose to wear. Did you follow the old English saying “something old, something new, something borrowed, and something blue”? I bought my wedding dress in England with my mum and I chose a traditional wedding dress with a sweetheart neckline. I wore a bracelet my Nanna bought me years ago and I wore my mum’s earrings and a blue garter. Now that you are married and have had time to reflect on your wedding day, what was your favourite moment? My favourite moment was been celebrating our special day with all our family and friends in such a special and beautiful location. Our photos provide incredible memories of our beautiful day in such a beautiful location. Fairmont The Palm, the beach and blue sky with the Marina as the backdrop were so fantastic, we never tire of looking at the photos which bring such wonderful memories. Karim and I met in Dubai. Karim has lots of family members in Dubai and my family loves Dubai, so we felt it was a very appropriate place for us to have the wedding. Our Aunts and other family members who live here helped us with the organization and the hotel conference services were outstanding. Conference services were so friendly, helpful and efficient with nothing being too much trouble, it was actually a pleasure organizing our special day. They used their high level of expertise to ensure that we had everything exactly the way we hoped for. Tell us about what it is like travelling with your dress?! I was lucky the Bridal Shop I bought my dress from in England packed my dress, veil and tiara beautifully in a hand luggage case. I carried it along with me on the plane and I took it out once I got to Dubai. After 3 days of hanging it up, the dress looked perfect and it did not at all look like it had been in a case for a day! Destination weddings really are a fabulous idea and honestly, the idea of getting married in a gorgeous location is such an exciting prospect. Destination weddings are virtually stress-free and much simpler than organizing a wedding in your home country, there are wedding planners that take care of all the essentials. You also have the liberty of adding or removing any of the items to personalize the wedding. Destination weddings also really stand out and will be remembered for a long time to come. My advice would be to chose a location that really means something to the couple, a favourite location or a destination that they have always dreamt of going to. 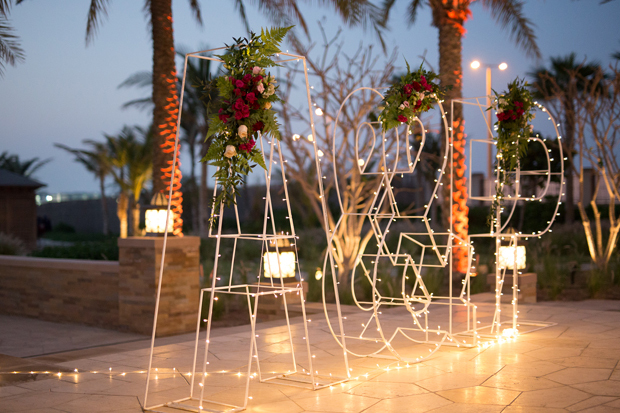 The most important thing of all is to choose a location that you can trust will go to every effort with every single detail to make the wedding just as you hope for, just as Fairmont The Palm did for us. The conference services team at the hotel was fabulous and helped us in planning our wedding really well. The chefs and servers were stunning during the day. Hazel Mills did the makeup for me and my mum. I tried out various makeup artists for my big day and Hazel was, by far, the best makeup artist. We had commissioned Bernie & Bindi Photography company for our wedding day and they did a wonderful job. We were thrilled with every single photo that they captured.